Browse our collection of wedding vehicles available in Worcester, alternativly if your looking for somthing further a field then we can arrange a car from our sister company ft wedding car hire birminghams and can cover this area at no additional cost. 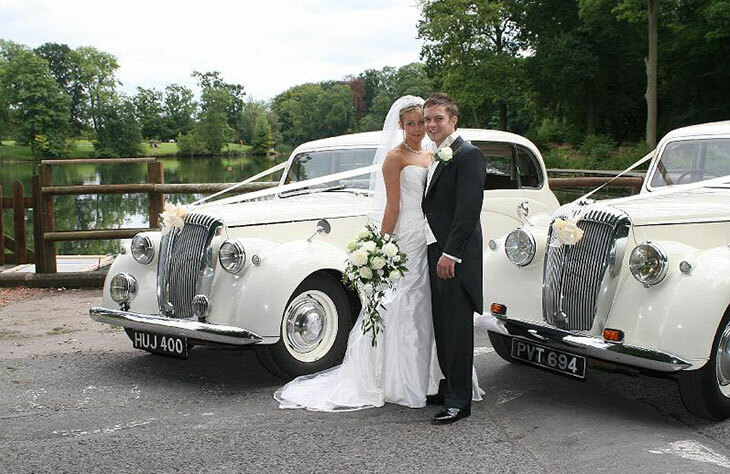 Searching for the perfect wedding car in Worcester? 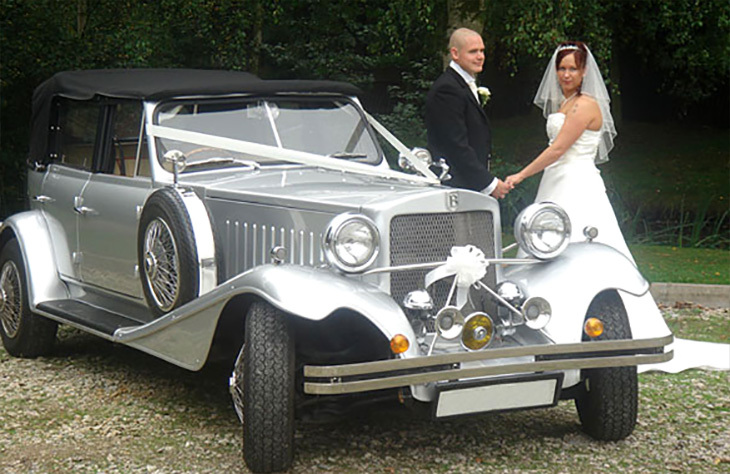 We have over 20 different wedding cars to choose from, guaranteeing you’ll find something to match your special day. From stunning vintage models to the most luxurious modern wedding cars, there’s something in our fleet to suit every style of wedding. This 1930's style tourer has been beautifully prepared. It looks superb with the hood down! 1930s style soft top, This car is great for someone who requires a car to contest or compliment her colour scheme. The classic uncompromising shape of the Daimler Limousine teams well with the 7 seat capacity offering both elegance and the spacious travel. Ideal for larger dresses, these large and comfortable vehicles have been supplied to the Royal Family and many foreign embassies. An attractive car with elegance and style to really compliment your important day. Its classic, beautiful shape makes it a very popular choice. A bigger than average true classic, manufactured by La Salle / Cadillac, this car has come from a private South African collection. Prices based on a 3 hour wedding package below. All prices include one trip to the wedding venue and one trip to the reception. All cars come decorated with ribbon and bow and all luxury limousines include complimentary bubbly or soft drinks. Prices/availability may vary according to location. 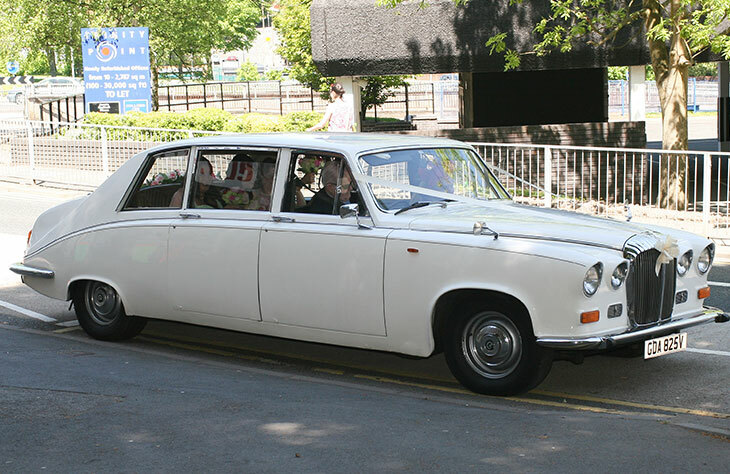 At Limo Hire Worcester, we have an outstanding collection of classic wedding cars. If you’re looking for a car that offers charm, romance and elegance, the Beauford Tourer is a fantastic option. 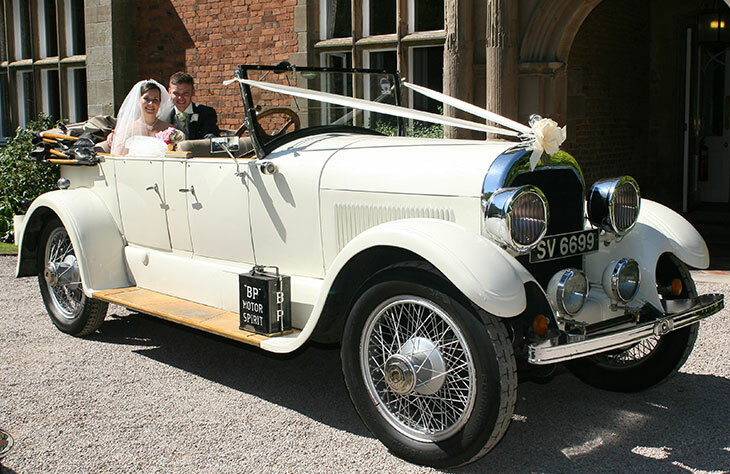 Available in white or silver, this 1930’s style soft-top model is perfect for summer weddings. Or, if you’re searching for a classic car that’s packed full of character, why not book the impressive 1924 Vintage Convertible? The oldest car in our collection, this impressive model is extremely rare, meaning you are unlikely to spot it anywhere else in the UK. 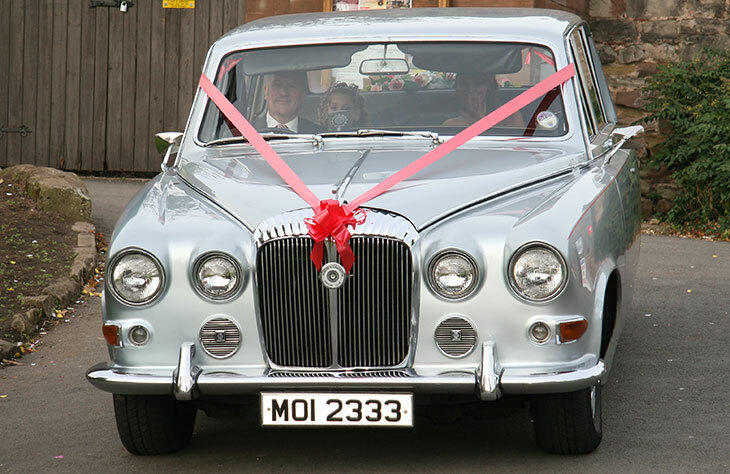 Whatever style vintage wedding car you’re searching for, we have a model in our fleet to match your requirements. As well as offering a fantastic choice of classic wedding cars, we also have an impressive collection of modern wedding cars in our fleet. As more couples turn to non-traditional ceremonies, the popularity of modern wedding car hire has skyrocketed. By far the most luxurious modern car in our collection is the Rolls Royce Phantom. This prestigious model is perfectly suited to lavish, fairy-tale weddings. With our competitive hire prices and great package deals, hiring the Phantom for your big day is much more affordable than you might think. If you’re looking for something a little more understated, we also have the luxurious Bentley Flying Spur. This has become one of our most popular modern wedding cars and it isn’t hard to see why. Stylish, comfortable and packed full of luxury features, this modest car is perfect for modern style weddings. 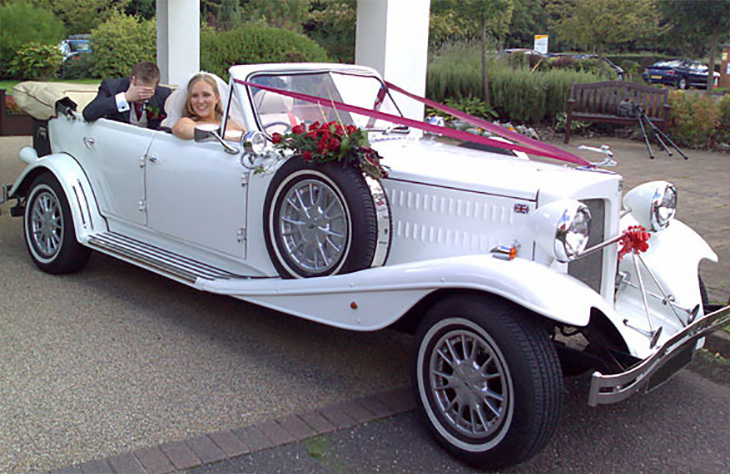 The above is just a couple of our modern wedding cars available to hire. Whatever your requirements, you can be sure we have a car to match them. When you book your wedding car hire through us, you can be sure you’ll be getting a luxury service. Our professional and friendly chauffeurs will ensure you arrive at the venue within plenty of time. We also strive to ensure you are getting the most affordable wedding car hire in Worcester. With a range of great discounted wedding car hire packages available, you’re sure to receive the most competitive prices. Ready to book one of our fantastic wedding cars? Call us today to talk through your requirements. Or, arrange a viewing of our fleet to help you decide which model is right for your special day.